December | 2008 | . :: computer geek's diary ::. So, do you lead by example? There’s the boss who tells everyone to stay late, and then leaves promptly at 5:00 p.m. to play golf. There’s the supervisor who criticizes everyone for spending time on the Internet, but is discovered buying groceries online in the middle of the afternoon. And the CFO who recommends layoffs to stop “unnecessary spending,” but then buys herself brand-new luxury office furniture. No matter what the situation is, double standards – witnessing people say one thing, and then doing another – always feel like betrayals. If this ever happened to you, you can probably remember that sense of disappointment and letdown. Stop and think about the inspiring people who have changed the world with their examples. 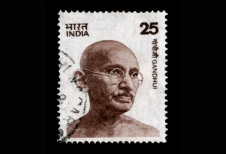 Consider what Mahatma Gandhi accomplished through his actions: He spent most of his adult life living what he preached to others. He was committed to nonviolent resistance to protest against injustice, and people followed in his footsteps. He led them, and India, to independence – because his life proved, by example, that it could be done. Consider what might have happened if Gandhi had, even one time, been in a physical fight with his opposition. His important message of nonviolent protest would probably have been much harder to believe after that. His followers would have looked at him with suspicion and distrust. The chances of them getting into physical arguments or committing acts of violence would probably have increased dramatically. If you ask a co-worker to do something, make sure you’d be willing to do it yourself. If you implement new rules for the office, then follow those rules just as closely as you expect everyone else to follow them. For example, if the new rule is “no personal calls at work,” then don’t talk to your spouse at work. The calls have excellent sound quality and are highly secure with end-to-end encryption. You don’t even need to configure your firewall or router or any other networking gear.